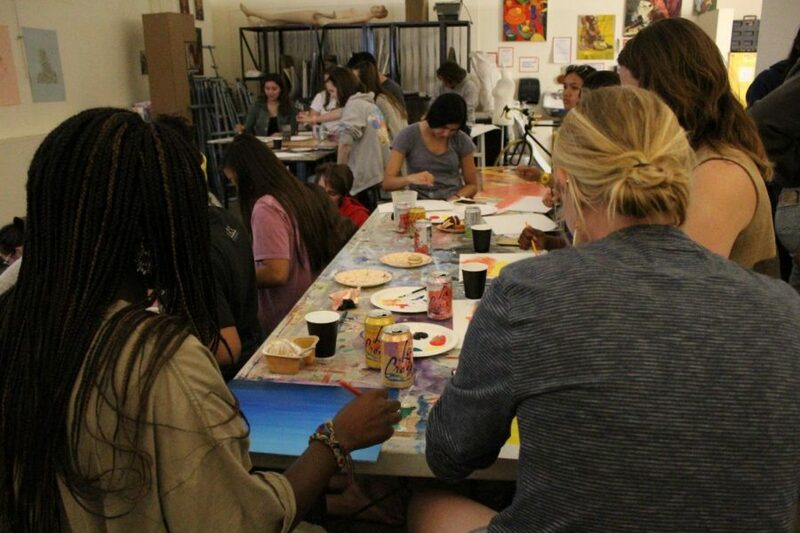 The club held a painting night at the art studio to bring the community together. The art league club invited students to paint with a funky, afro-wearing painter on screen, Bob Ross on April 10. The event took place in art studio Room 91 where the club provided free paint, brushes and paper, paid for with a budget of around $200 from Student Programming and Activities. Once the event started with an episode of “The Joy of Painting” on screen, each student grabbed their brushes and vibrant palettes and began adding color to their blank sheets of paper. Ross, a famous painter and television show host from the 1980s, was known for his calming personality that complemented his magnificent painting techniques. While students painted with the goal of creating a beautiful landscape like Ross’, many were busy chatting and laughing. The art league team paused the video every three minutes so that students could take their time following Ross’ painting tutorial. The event ended with a Bob Ross costume contest where three winning students were each awarded a $10 Starbucks card. According to president of the art league and junior studio arts major Ashley Logue, the league was a 20-year-old club on campus that had been falling short until they attempted to bring it back last semester. 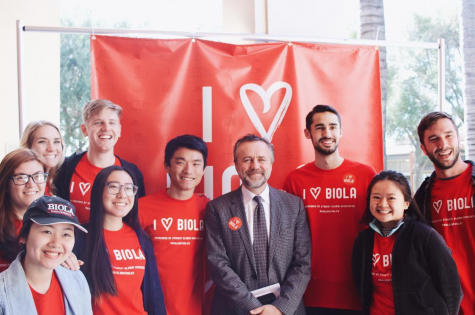 She and her team hosted a movie night and were pleased with the results, which led Logue’s professor to assign her as the president of the art league. Logue conveyed her passion and purpose for events like the Bob Ross painting night.